The Centre boasts modern accommodation options and a large camp site. With Basingstoke Canal on our doorstep, we can offer kayaking and canoeing as well as a range of indoor and outdoor on-site activities. Please note there is limited parking available at the Centre or in the immediate vicinity. 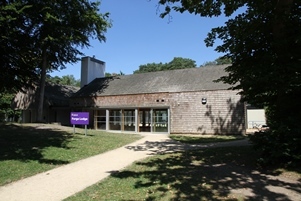 The Centre operates in partnership with Rushmoor Borough Council and Blackwater Valley Scouts. If you’re looking for excitement, challenge and enjoyment in a north Hampshire location then you need look no further than a visit to Runway’s End Outdoor Centre. Only an hour from Greater London by car, the Centre offers a range of quality outdoor and indoor adventure activities for day groups or longer residential visits. We can tailor a programme for your individual group to include activities such as caving, archery, climbing and canoeing. Our after school club runs on Wednesdays from 4.30 pm until 6.00 pm and is aimed at children between 8 and 14 years old. One activity will be offered each week, including caving, canoeing, archery, outdoor climbing, raft building and shooting. We welcome Scout/Guide groups and want you to enjoy the wide range of exciting adventure activities available, as well as some of the more traditional scouting activities such as camping. Runway's End is available for part or full day sessions, or for longer residential stays making use of our indoor accommodation and / or our campsite. Close links with Blackwater Valley Scouts means there is a volunteer-manned Scout shop on site, open from 7pm to 9pm on Thursdays and 10am to 1pm on Saturdays. More details can be found on the Blackwater Valley Scout website. We are able to run bespoke leader training for Scout and Guide leaders, please contact us to discuss your requirements. Planning to lead your own group on an expedition and need some no nonsense base camp accommodation? Runway’s End has excellent purpose built facilities to accommodate your residential stay. 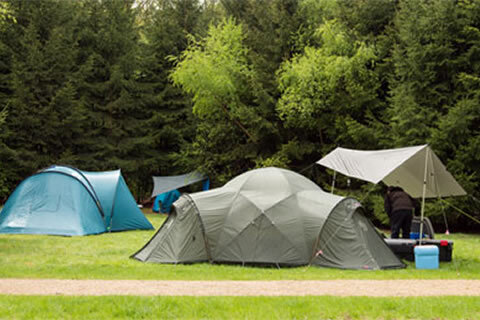 Choose from Forge Lodge or Camping to suit your needs. Runway's End has further meeting and conference rooms in Farrier House. Choose from a large hall or more intimate meeting rooms / break out areas.